I have a new student, and not just any new student but my niece <insert squeal of delight>! I am so excited to be teaching someone who is like a daughter, but not my daughter. Don't get me wrong, I really like my own kids but they don't always like me, especially as their teacher! My niece thinks I'm cool and smart especially when it comes to all things musical....my kids aren't as easily impressed. I knew I needed to pull out some cool aunt magic at the very beginning, I needed to go shopping! 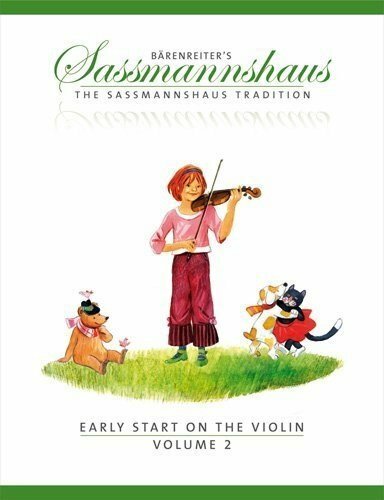 Enter The Sassmannshaus Tradition music book. Or as we like to call it at our house the sassy book. New music books for nerdy violin teachers are the equivalent of face-lifts for aging Hollywood superstars, they make us giddy and fool ourselves into thinking we are young again. Nobody else is fooled, but my family is generous and lets me float around the house pretending that I'm not closer to 40 than 30, and smile indulgently when I trade my sweat pants in for skinny jeans. They know that although the love affair with my new music will last a long time, it's only a matter of days before I'm back in t-shirts and fuzzy socks. Anyways back to sassy book. I really try hard to keep up to date on violin books and music. But somehow this one slipped by me until now. So, I did a little background digging. 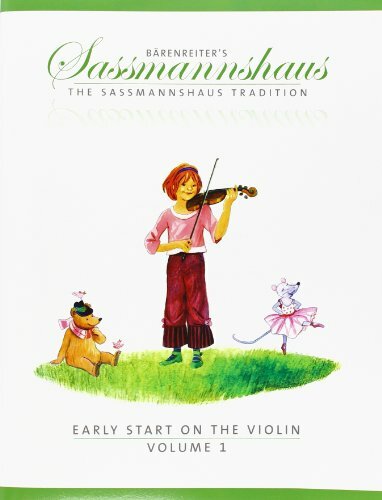 The Sassmannshaus method was developed in the '70's by a very accomplished German violinist, Egon Sassmannshaus. His son Kurt recently adapted his father's very successful German method into an English version. Some of the things I love about the sassy book is the size of print, the beautiful artwork, and a very harmonious marriage between learning songs (my student's favorite part) and learning theory (my favorite part). Note reading from the very beginning. Not only note reading but music reading, this includes among other things; repeats, bowing symbols and rests. Heavy on string crossing from the very beginning. This can be challenging for kids just mastering bowing control. Harder skill sets are mixed in with easier ones. For example, during a section of violin book I, you learn to play some simple songs using open strings. After you have learned how they are supposed to sound you are encouraged to go back over and use the 4th finger in place of the open strings on these same songs. Genius! My kids always hate using their 4th finger and this makes me wonder if I've been waiting too long to add it. Other advanced techniques such as specific bowing and shifting/positions are taught earlier although shifting is not taught in book one. After open strings, the 2nd finger is the first finger taught. This is different then other methods and books which typically teach the 1st finger after the open strings are mastered. 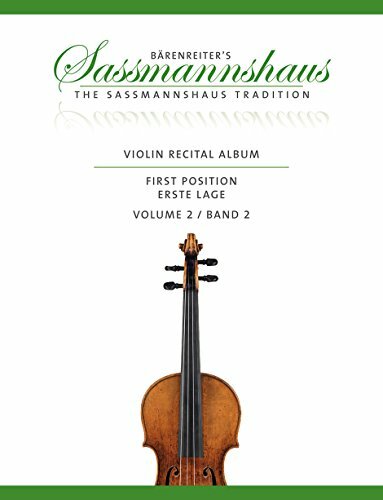 The Sassmannhaus believes the 3rd interval (such as in the "cuckoo" song) is familiar to the ears of even the youngest violinist. It combines lyrics to melodies and rhythms. For the youngest students, singing and clapping the melodies first will help them to be played accurately on the violin later. Scales are introduced and used pretty early on. Many of the melodies thereafter in book one are built around scales. By the end of book one students have been introduced to fingers 1 - 4 and should be familiar with reading whole, half, quarter, and eight notes. Staccato and slurs have also been introduced. 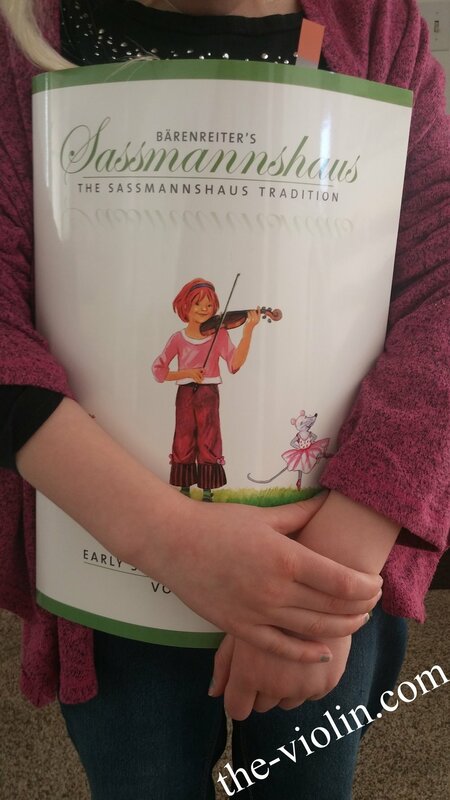 In conclusion, The Sassmannshaus is not the only book that I am teaching my niece or my youngest daughter from, but it is one of their main books. I think it would work well for all ages but seems to be especially great for kids ages 5 to 10. It really is a beautiful book and very appealing to kids (and nerdy violin teachers). I haven't quite mastered how to best teach it or what other books to best pair with it, but am enjoying the learning curve of including it in my beginner students repertoire. 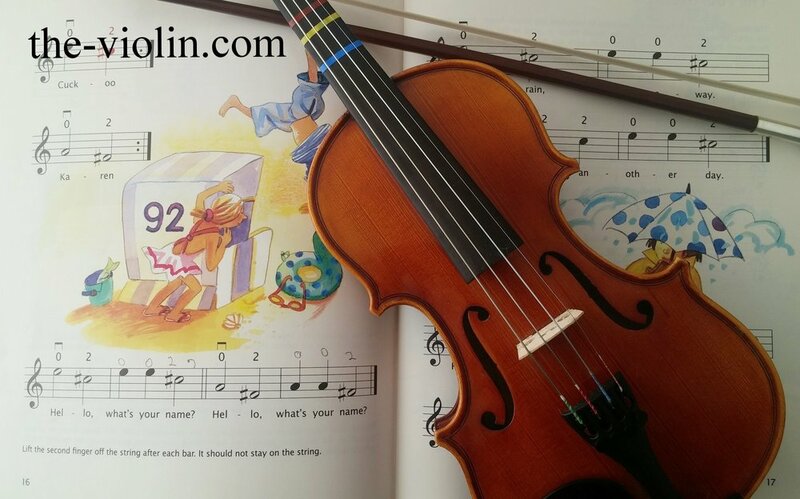 It is great for teaching note and music reading from the very beginning and has great little rhymes and lyrics to help kids learn faster.